Jordan Select Tours is one of the most creative companies in the region when it comes to incentives. We try our utmost to understand our client's aims for organizing the incentive and then strive to meet these requirements in an itinerary that can be challenging, luxurious and true to the amazing heritage of our country and the diversity of its nature and scenes. We are more interested in offering our clients original itineraries that WOW their clients than to imitate or do what everyone else does. We are the masters of innovation and our clients attest to our perfect planning. 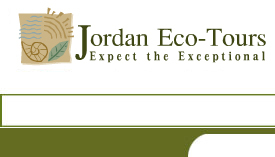 Click this link for more information on our Jordan incentive itineraries.